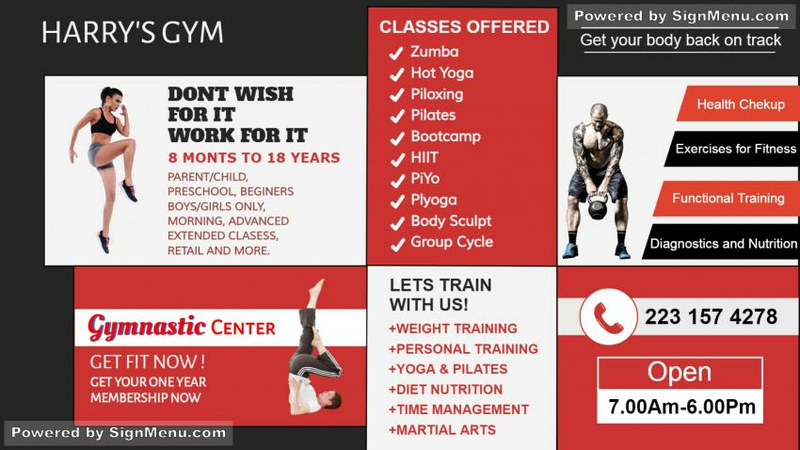 This template showcases the various services offered by a gym - from consultancy to weight training, and is best presented on a digital screen placed atop the premises or at the entrance. The gymnasium business is based on quality training, trust, and a friendly environment. All of these and more can be showcased on a digital menu board / screen. A digital signage board provides the perception of a vibrant and a happening place and impacts positively on the target audience. this template is ready for download and use.